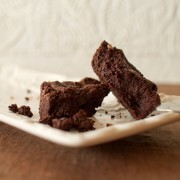 One major change between the original recipe and my version – I’m using all-purpose flour instead of cake flour. Honestly, I just didn’t want to go to the store to get cake flour, especially since I knew that this batch was for experimentation purposes and not to serve to family or friends. Guess what – they were still delicious! 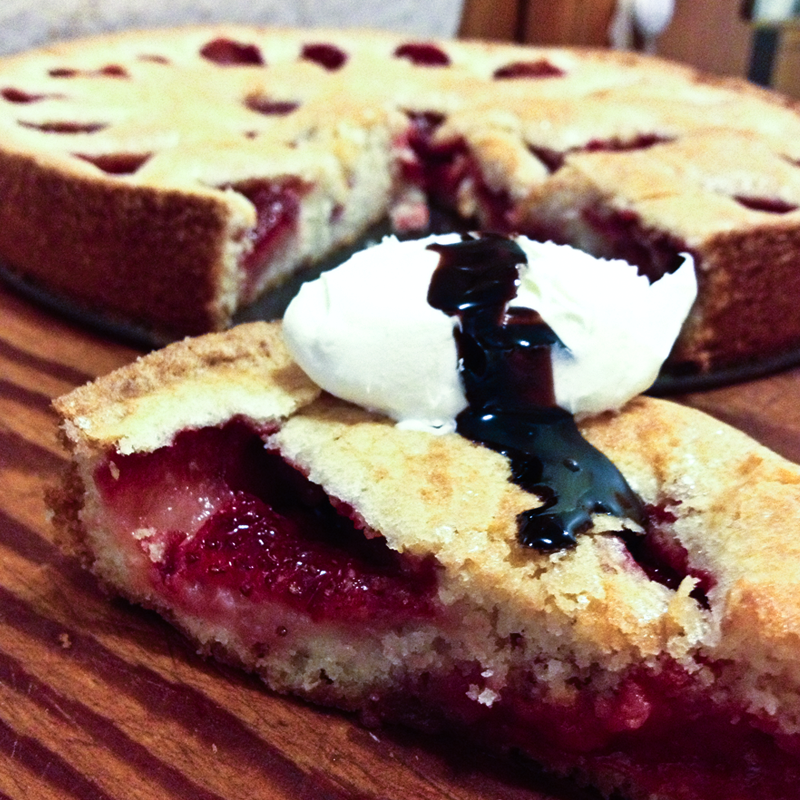 Maybe the texture wasn’t as delicate or light as cake flour would have produced, but still damn good! So, if you only have all-purpose, this recipe still works. 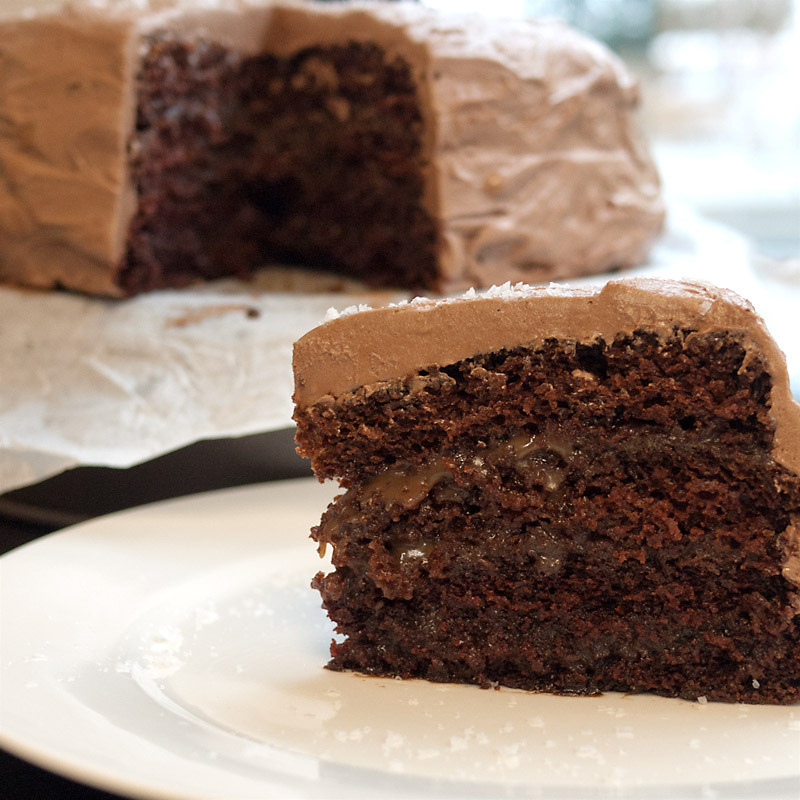 If you have cake flour on hand, even better! 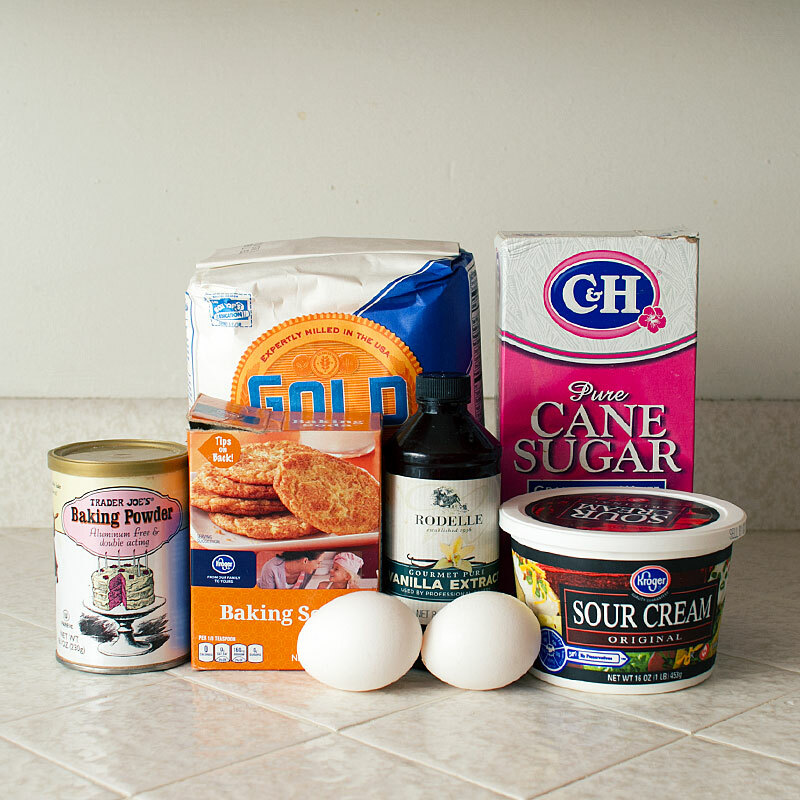 You’ll need baking powder, flour, sugar, sour cream, eggs, vanilla extract. Ignore the baking soda, didn’t need it for the dough part of this recipe. Not pictured: vegetable shortening and salt. Cream together the sugar and shortening. Add in eggs and beat with a paddle attachment on medium speed until thick and light yellow. Alternate adding in the flour and sour cream in 3 separate batches, scraping down the bowl between additions. Cover and chill for at least 45 mins. 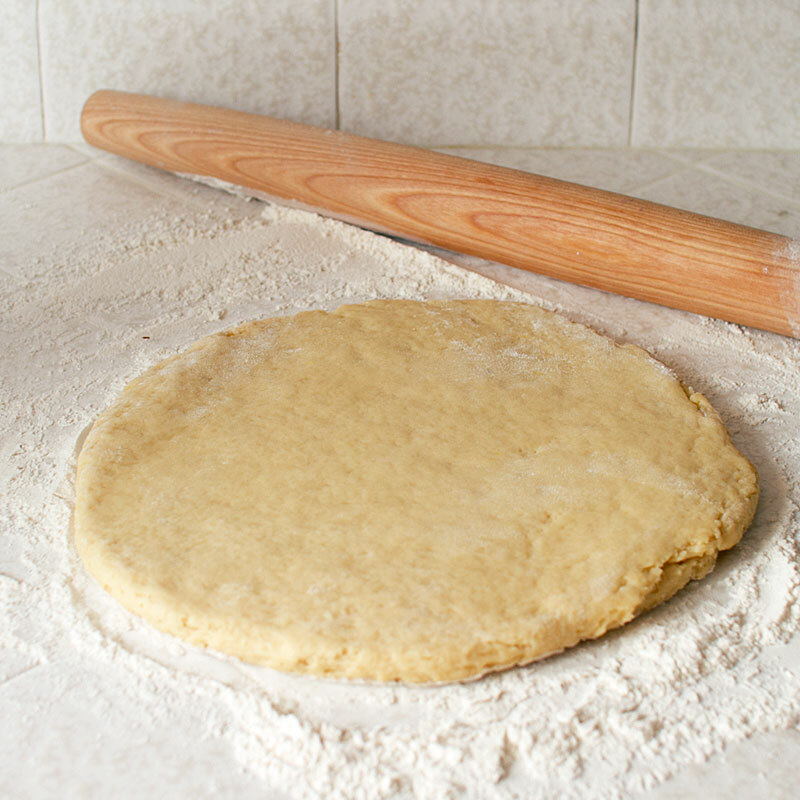 Roll the chilled dough out on a very well floured surface to about 1/2″ thick – about 8″ in diameter. Cut out as many rounds and holes as you can. I used a 3″ round biscuit cutter and a 1″ round cutter for the holes. Re-roll the scraps together and cut out additional holes. 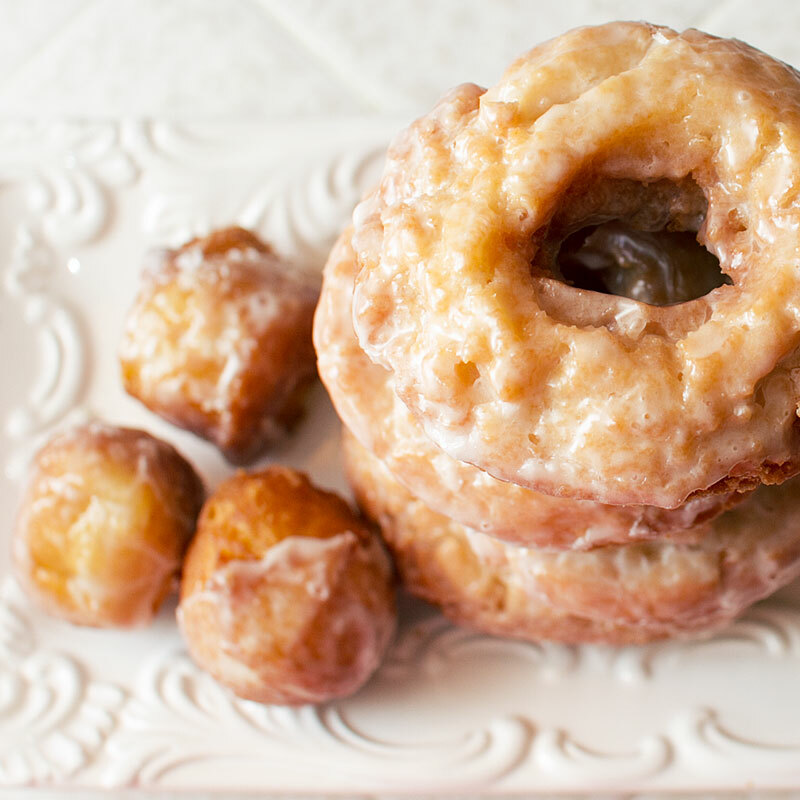 Tip – cut 3 little slits about 1/8″ deep on the tops of the donuts. 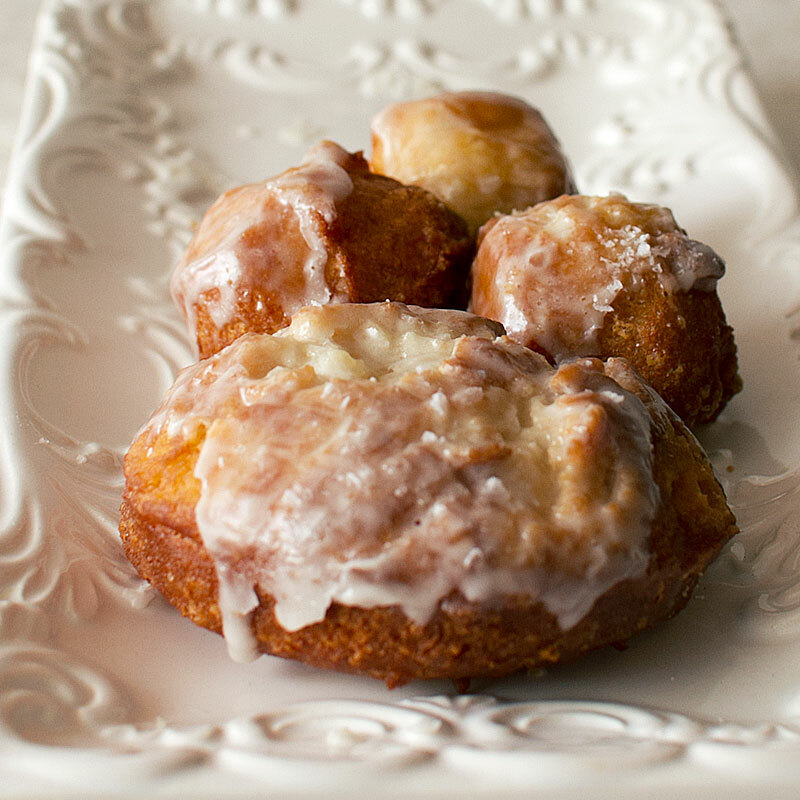 This creates the “old fashioned” look with lots of extra crispy nooks and crannies. 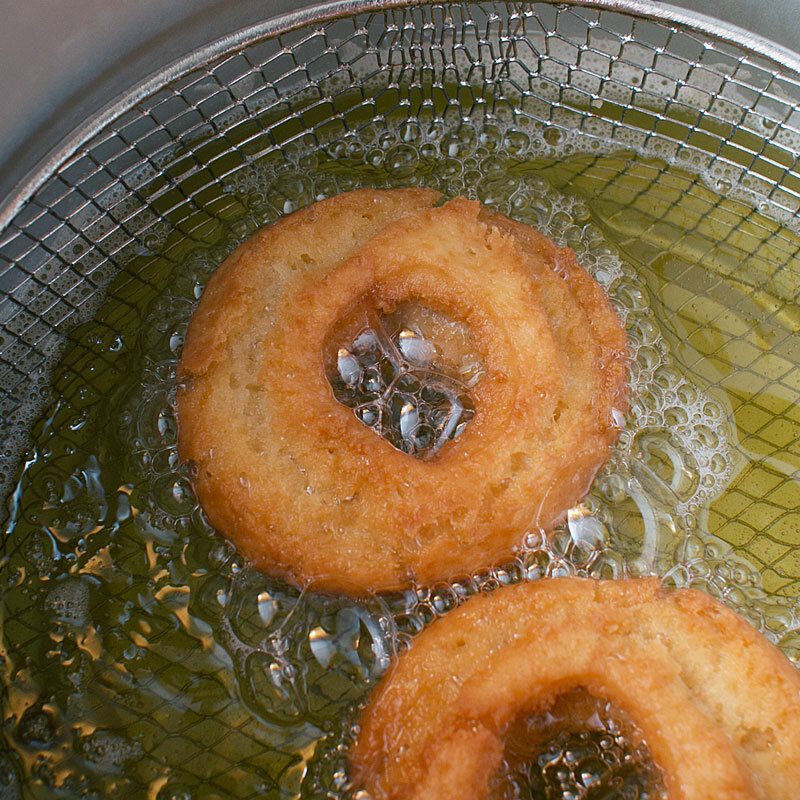 Place the doughnuts in the 325F oil. Once they float, cook an additional 15 seconds, then flip and cook until golden, about 1-2 minutes. Flip back over and cook until golden, another 1-2 minutes. Let the doughnuts cool slightly on a rack set over paper towels. Once cool enough to handle, glaze it up! Glaaaaaze. Place back on the cooling rack and let the glaze set for about 1 minute before serving. Doughnuts on doughnuts on doughnuts. 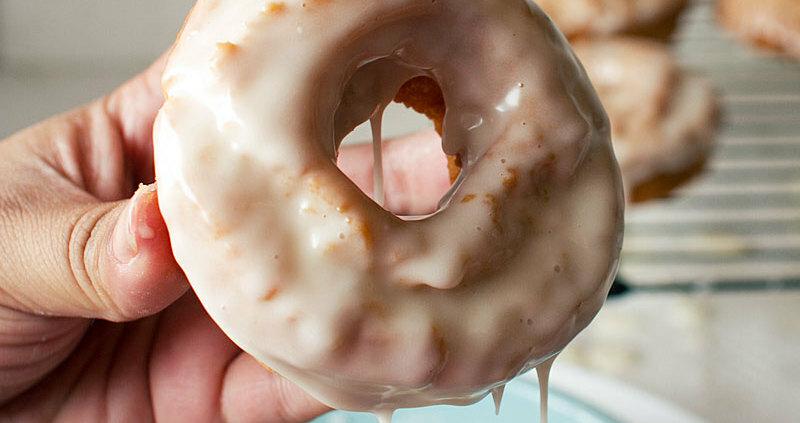 Is there anythigtn better than a fresh, crispy and golden old fashioned doughnut? Nope. For a few of the doughnuts and holes, I poached them in a solution of water and baking soda for about 30 seconds, let the water drip off then fried as normal. Poaching in the baking soda solution is similar to what’s done with pretzels and bagels. It yields a slightly chewy crust with a slight pretzel-y flavor! I used the same glaze on the pretzeled doughnuts. then sprinkled with a little coarse sea salt. Pretzeled doughnuts! Let me work out the kinks, then I’ll get this version of the recipe up. The second experiment came in the form of making an indentation in the center of the doughnut instead of cutting out the hole completely. I fried as normal, then used a spoon to remove the center (where the indentation was), and filled it with vanilla pastry cream. 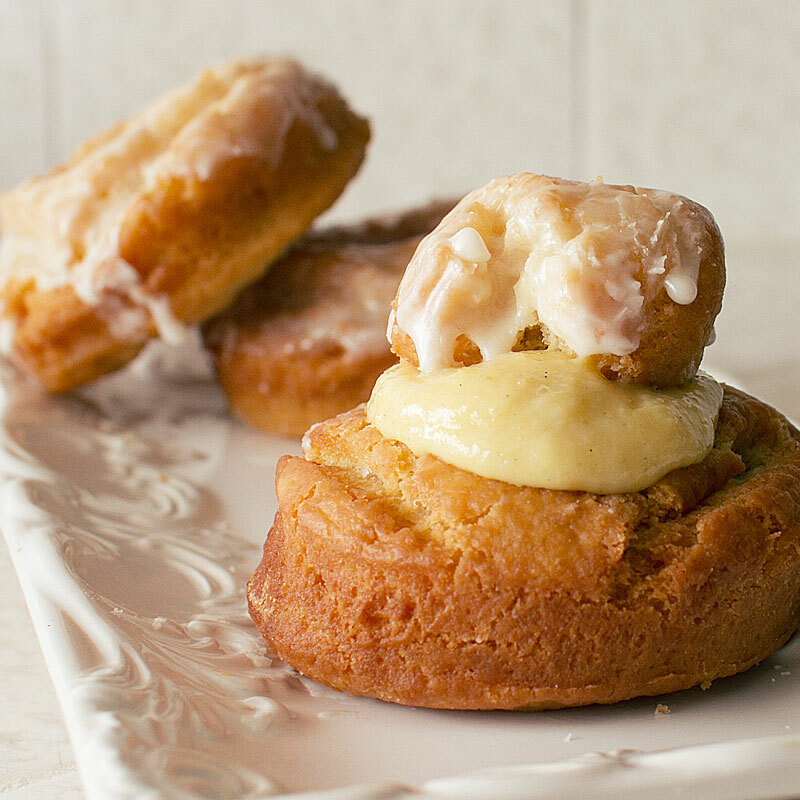 It’s like an old-fashioned doughnut and a boston cream doughnut had a delicious, crispy baby. Combine flour, baking powder and salt together in a medium bowl and whisk to combine. Set aside. 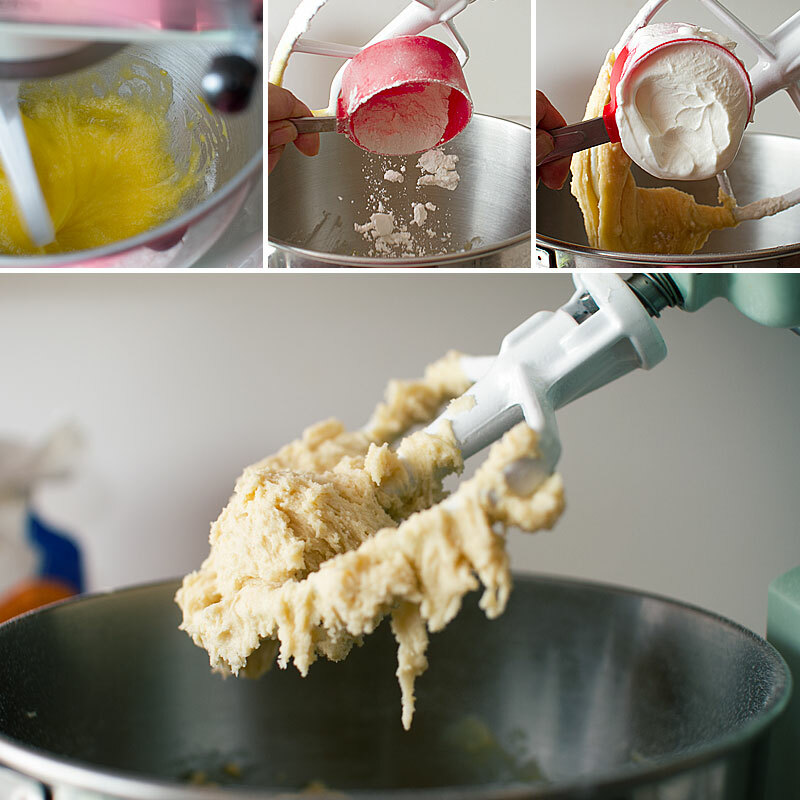 In a stand mixer, use the paddle attachment and cream together the sugar and vegetable shortening on low speed until slightly fluffy, about 1 minute. Add in the egg and egg yolk and mix at medium speed until light-colored and thick, about one more minute. At low speed, alternate adding the 1/3 of the dry ingredients and 1/3 of sour cream to the mixer. Scrape down the sides of the bowl between additions. The texture will resemble a sticky biscuit dough or cookie dough. Place the dough in a clean bowl and cover with plastic wrap. Chill for at least 45 minutes (or up to 24 hours). In a deep fryer or large pot, heat about 2" of oil to 325F. Prepare a cooling rack over a baking sheet lined with paper towels and set aside. 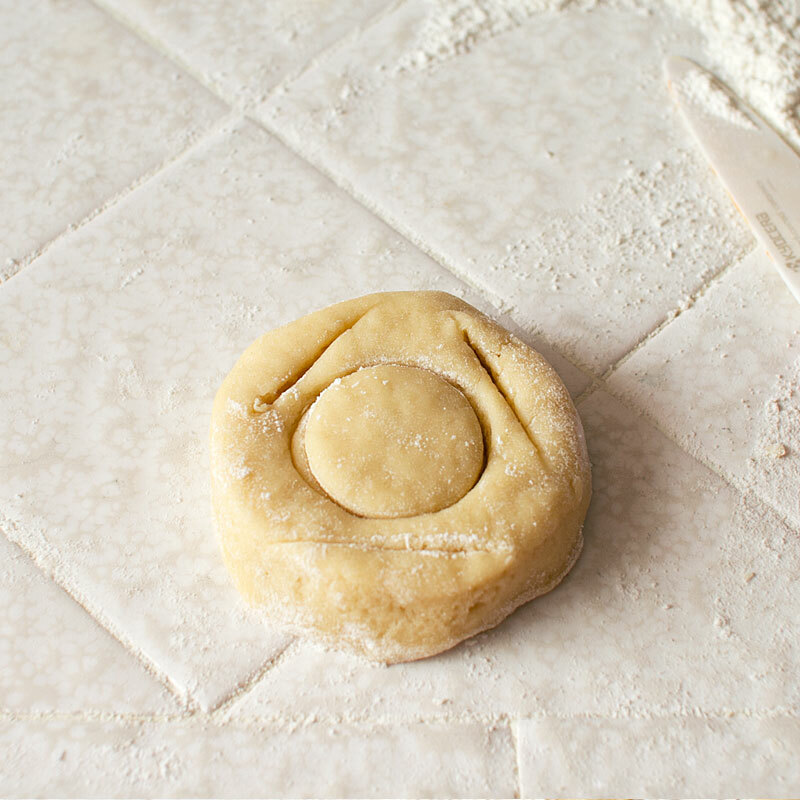 Generously flour your work surface with flour and roll out the chilled dough to about 8" in diameter, about 1/2" thick. 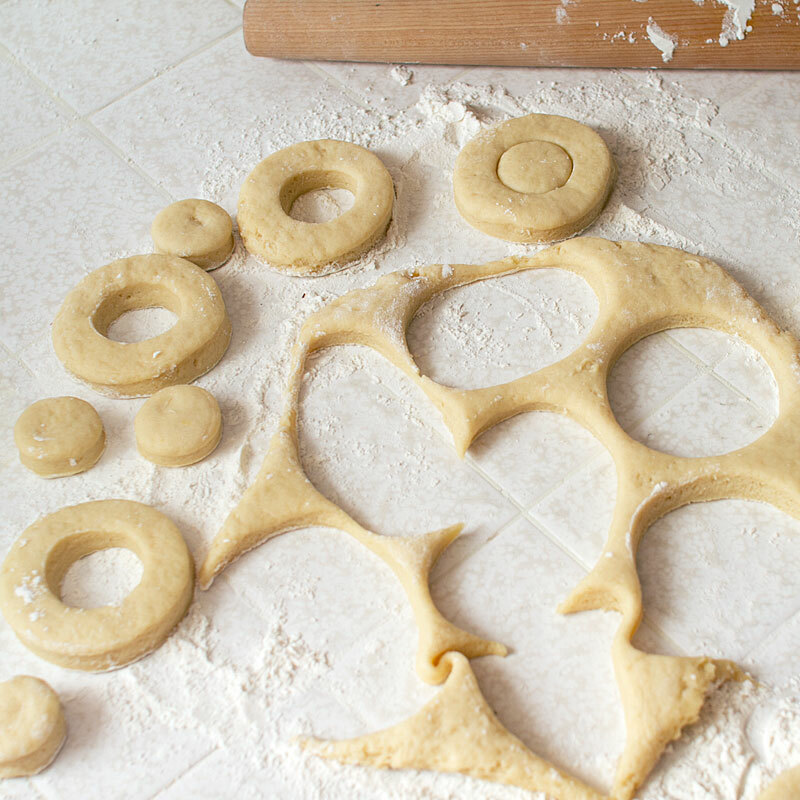 Cut out as many doughnuts and doughnuts holes as possible, making sure to dip the cutter into flour after each cut to prevent sticking. I used a 3" round cutter and a 1" cutter for the holes. If you don't have biscuit cutters, try a wide mouth drinking glass and a shot glass. Gently re-combine the dough scraps and cut again. 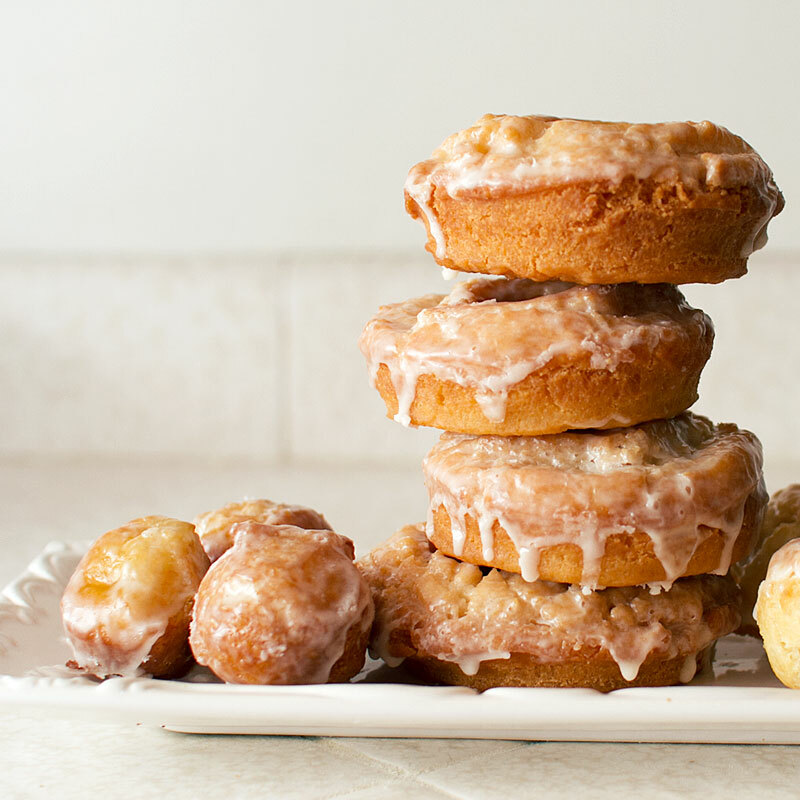 Don't re-combine / re-cut more than once - overhandling the dough creates a tough doughnut. 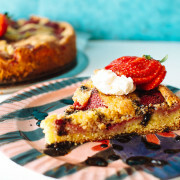 Use a pastry brush to gently brush off any excess flour on the dough. Fry 2-3 doughnuts at a time, taking care not to overcrowd the pot/fryer. 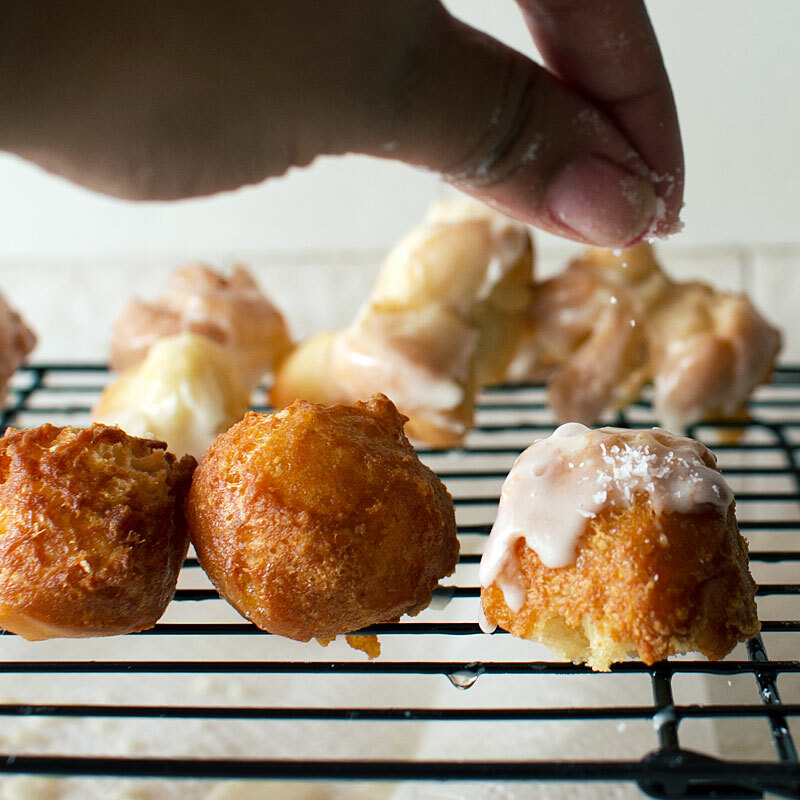 Once the donuts float to the surface, cook until lighly browned (15-20 seconds), then flip over and cook another 1-2 minutes, until browned and crispy. Flip back over and cook another 1-2 minutes until golden. Place on the prepared cooling rack. 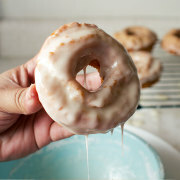 Once cool enough to handle, dip the donuts in vanilla glaze and let set for a minute before devouring. 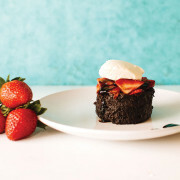 Whisk to combine the confectioner sugar with 2 tbsp of heavy cream. Add additional cream or milk for desired consistency. Mix in vanilla extract or vanilla paste. If you're not using the glaze immediately, keep it over a bowl of hot water so the glaze doesn't stiffen up. For the pretzeled doughnuts, after cutting I poached them in a solution of baking soda and water (similiar to making a pretzel) for about 30 seconds. Then I got as much water off the surface as possible before frying. After they were cooked through, I glazed and sprinkled with sea salt. For the filled doughnuts, instead of cutting a hole through the center of the doughnut, I made a deep indentation and fried as normal. After frying, I used a spoon to scoop out the center part (where the indentation was made), filled it with vanilla pastry cream, then topped it with the scooped out top. I tried this over the weekend thinking I would fail but it actually came out great! Yes!!!!! I so need to try ALL the versions. I’ll holla at you when I have the pretzel one figured out! Hi Jhuanne!! So, I loved the pretzel version lol I have yet to get around to doing a full recipe of JUST the pretzel version, but hopefully soon!! I love doughnuts! These look amazing! Thank you! 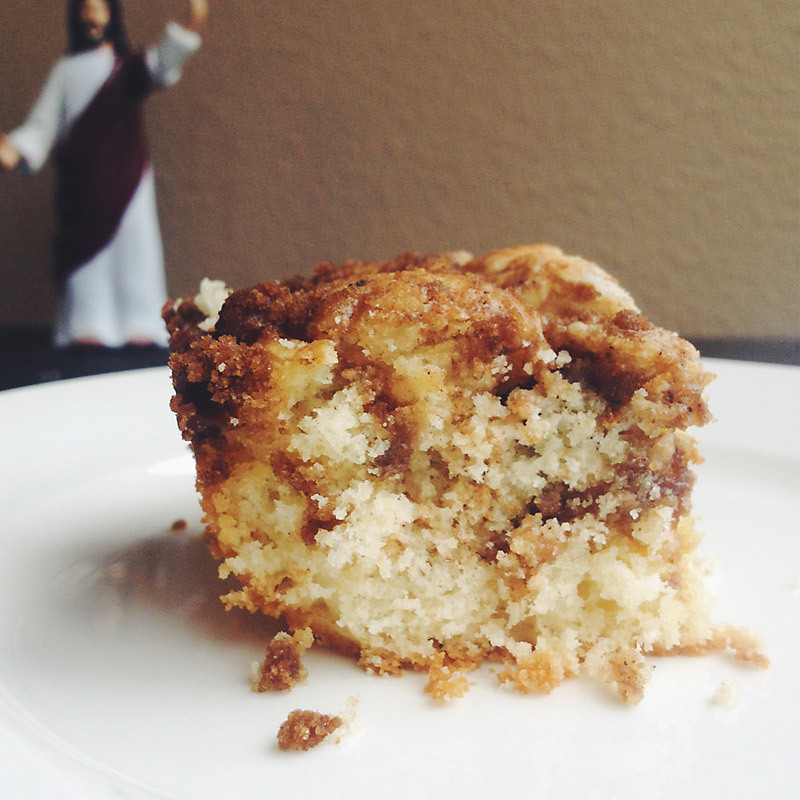 I just went over to your blog and saw your cinnamon roll version!! I’m inspired! Oh man…Donuts are my weakness! Well, anything sweet is my weakness! These look extremely good! My mouth is watering, great pictures! I haven’t had a lot of luck with donuts in the past, but these turned out amazing! Thanks for the recipe. I’ll definitely make them again! Hi Felicia! 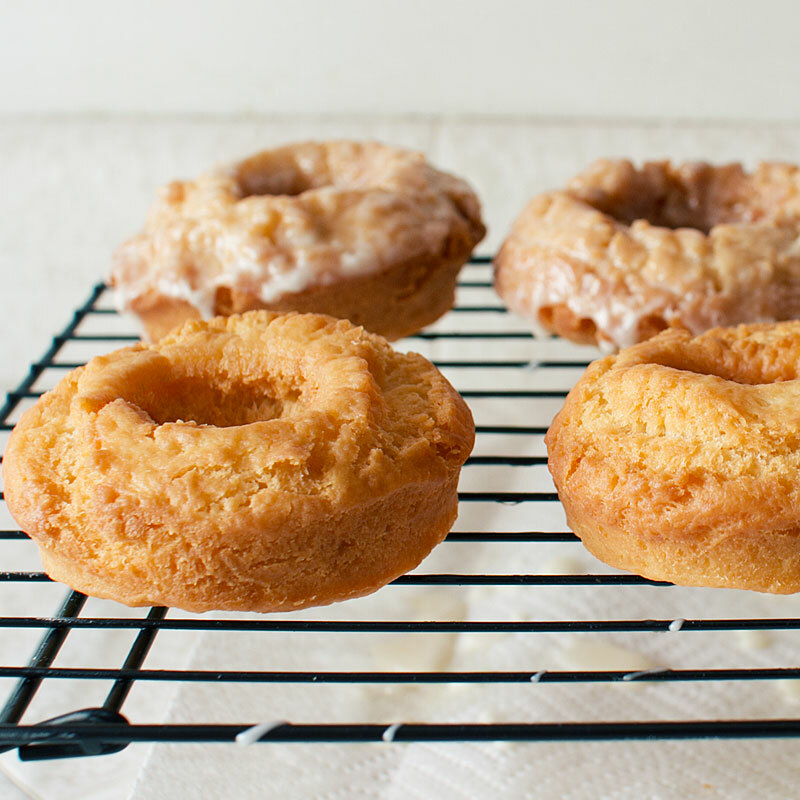 I haven’t tried my hand at yeast-risen doughnuts, but these cake doughnuts are definitely easy to work with! Just make sure your oil is up to temperature or you’ll end up with heavy, oily donuts. Let me know how it goes!! Ohhhh I’m in cake donut heaven. Does that exist? It totally should. I could eat 10 of these and I wouldn’t even care about my diet. It would all be worth it. Thanks for posting this recipe. Unfortunately, it did not work out for me. The doughnuts turned out too dense and flat. I’m sorry to hear that, Gigi! I’d love to help you troubleshoot if you could tell me a little more about what steps you took. Not into frying. Can these be made in the oven? 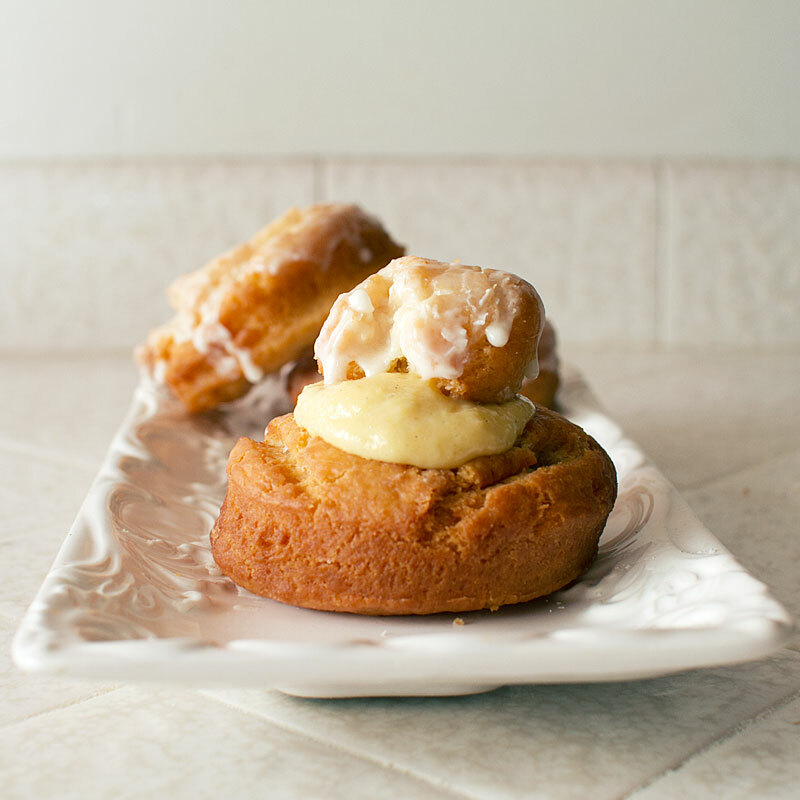 Love sour cream donuts! Hi Rob! 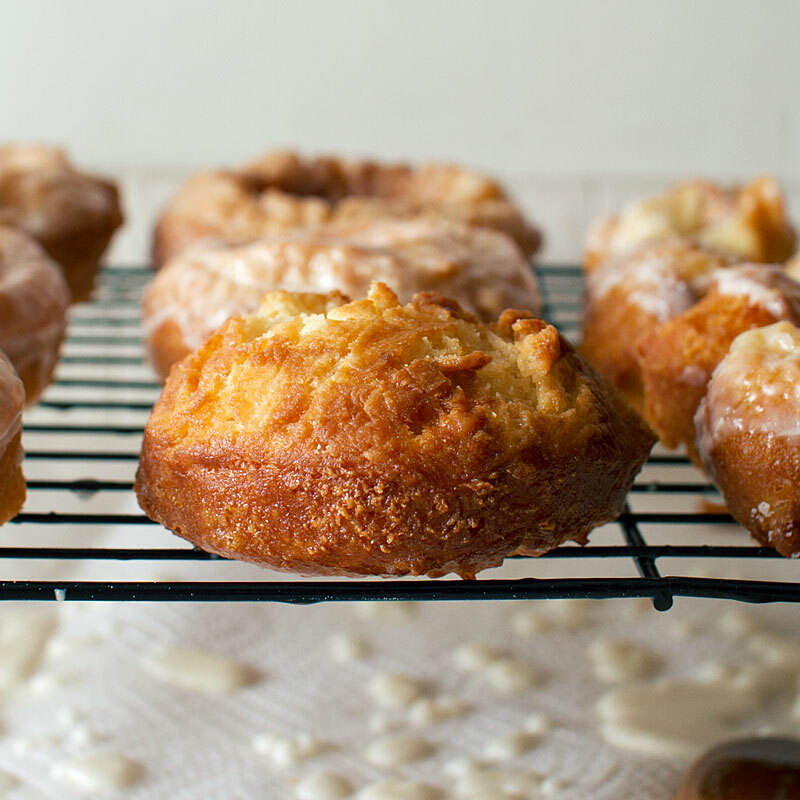 Not sure if this particular recipe can be baked in a donut form, I’m not sure what the texture would be like, but a baked donut sounds like an excellent idea – maybe i’ll do it for the blog! Thanks!